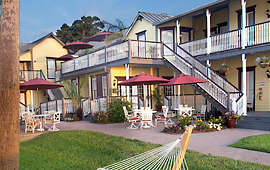 Whether you’re coming to St. Augustine for a night or a week, you’ll need a place to rest your head after enjoying all the sights around town! 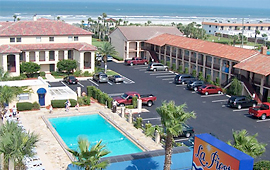 Oceanfront on St. Augustine Beach, La Fiesta Ocean Inn & Suites is conveniently located 10 minutes from Historic downtown St. Augustine. 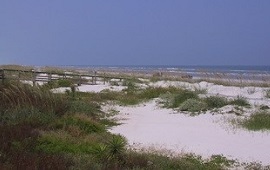 The sugar white sand of our beautiful beach is just steps from your door along our private walkway. 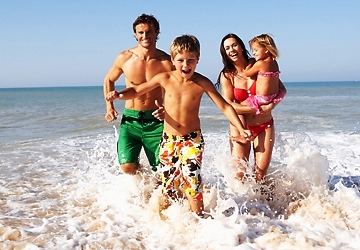 La Fiesta is the perfect getaway to relax and enjoy the beach and history. 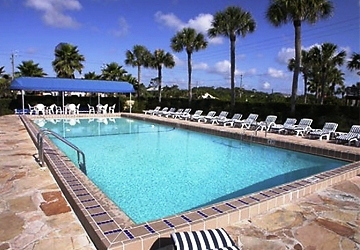 Amenities include breakfast delivered to your room daily, large heated pool and bus service (fee) to historic downtown St. Augustine. 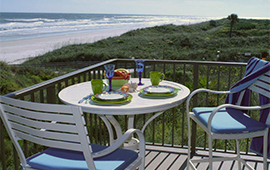 Our oceanfront location, newly renovated rooms, award winning service and uncompromising amenities provide a truly exceptional St. Augustine Beach hotel experience. 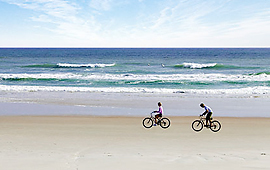 There’s a St. Augustine hotel to suit any vacation, from beachfront to historic downtown. 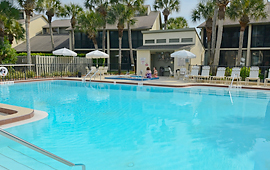 Here at OldCity.com, you’ll find links to a wide variety of comfortable accommodations for families, couples, and world travelers alike. 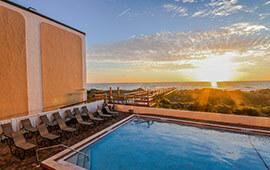 Perhaps you’d like to find a hotel or condo where you can watch the sun rise over the Atlantic or a bed and breakfast where you can watch the sun set over the city. 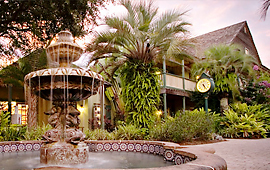 Some of our older hotels contain so much history and offer so many stories – they can be as interesting as the attractions in town. 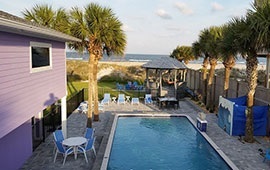 Maybe you’re looking for a pool where you can keep an eye on the kids or a campground where you can sleep under the stars. 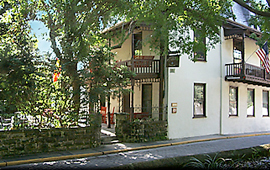 Whatever your needs, take a moment to browse through our lodging options and find the right place for you to relax in The Ancient City. 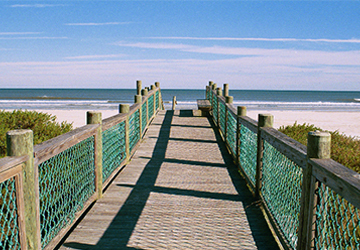 St. Augustine hotels and accommodations provide a memorable experience no matter which route you decide to follow. 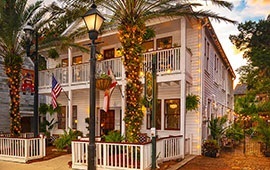 For your convenience, OldCity.com offers complete listings, addresses, and phone numbers for almost every St. Augustine accommodation including hotels, motels, resorts, and bed and breakfast inns. Use this directory to research accommodations or get in touch with family and friends who are staying in the area. 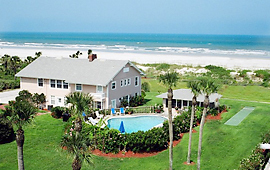 Voted the BEST B&B in St. Augustine 2 years in a row – 2017 & 2018! This Jewel of the Ancient City plus Industrial Chic Cottage is in the heart of the Historic District. Staff indulges you in an orientation at check-in with aromatherapy towelettes & beverage. 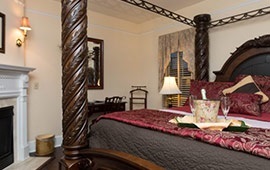 Guest rooms have en suite baths plus amenities you expect in a boutique hotel. 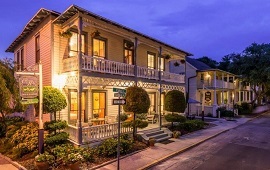 This 1895 Victorian, adorned with antiques, is located in the heart of St Augustine's Historic District. 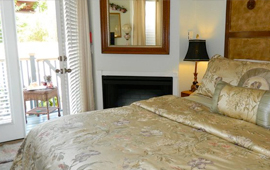 Some rooms having fireplaces, jacuzzi tubs, and balconies. 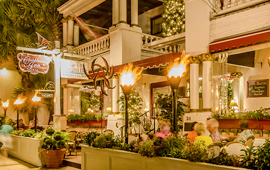 Enjoy and relax on our beautiful porch listening to the clipclop of horse hooves as the carriages pass by. Free parking. 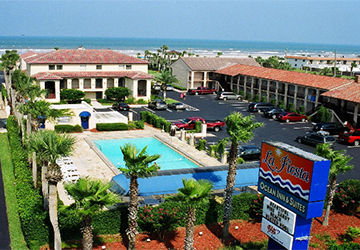 Just steps to shopping, restaurants, the waterfront and much more. Stay in the middle of it all! 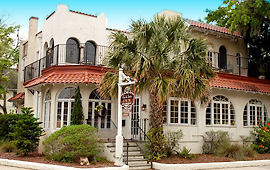 Bella Bay Inn is located in the center of St. Augustine's historic district, close to the ancient city's best restaurants, bars, and shopping. 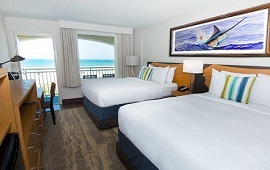 Five bayfront suites offer water views, king-sized beds, and the convenience of kitchenettes or mini refrigerators. 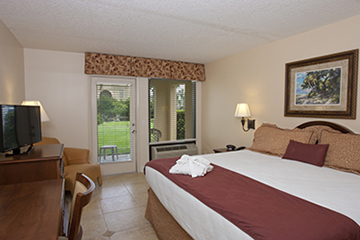 Call us today to reserve a room with the comforts of home and the luxury of location. Park your car onsite and enjoy your stay. 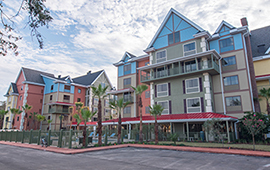 Centennial House is conveniently located in the Historic District just steps away from attractions, sites, restaurants, art galleries, and shopping. 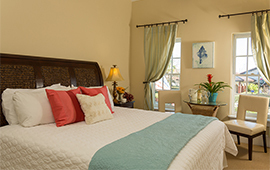 Choose from one of our eight rooms that include private baths and climate control in each. Enjoy an elegant breakfast to start your day along with early morning coffee or tea.